The Rolling Stones Song of the Day is The Spider And The Fly. 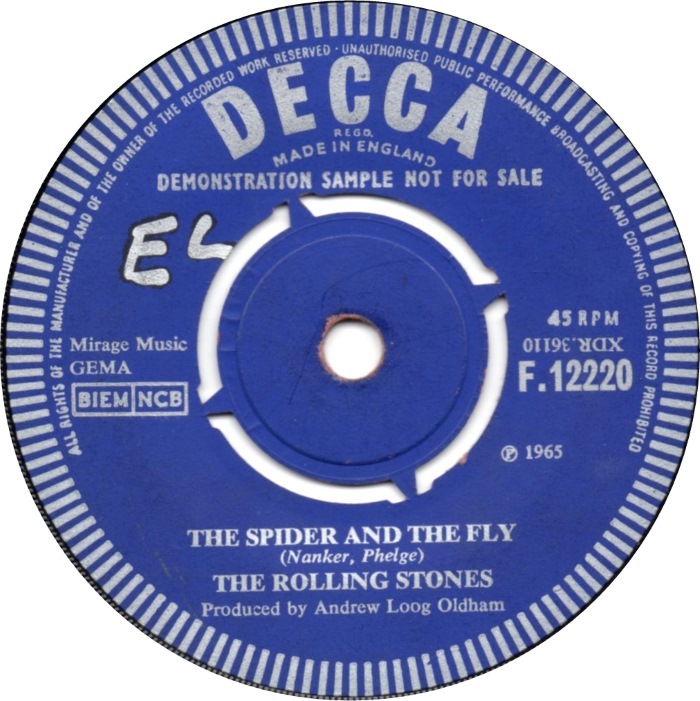 The Spider And The Fly- written by Mick and Keith- is the b-side to a little ditty called “Satisfaction. It is also on the US edition of Out Of Our Heads. The song deals with what the band will be doing after a gig. A critic at allmusic.com calls it one of their first attempts at country music. Mick calls it a blues song. The Stones never used this song very often in concert. For those who got the Satisfaction single- I wonder how long it took them to turn over and play the b-side? That is a good one too.